Welcome! Thanks for checking out our store. Please call or e-mail if you have any custom orders. Do you need a custom design? 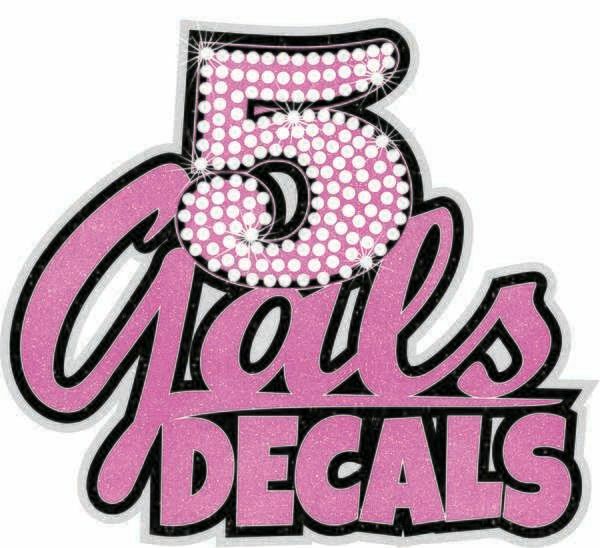 At 5 Gals Decals we make affordable custom decals for any occasion to put on t-shirts, cars and more. E-mail us with your special request and we can put something together for you. Please remember we can not do copyrighted or licensed designs. Need a fundraiser? We can create a design for your next event to raise money for your cause. E-mail us at sales@5galsdecals.com and we will provide you more information on out fundraising program.